Kakamega Forest is a tropical rain-forest. Its located in Kakamega, Kenya. It’s believed to be the last remnant of the ancient Guineo-Congolian rain-forest. This forest is found with the Kakamega National Reserve. Half of its trees are indigenous. The reserve has promoted its conservation. It has helped it against deforestation and illegal logging. But still needs help from the few cases. 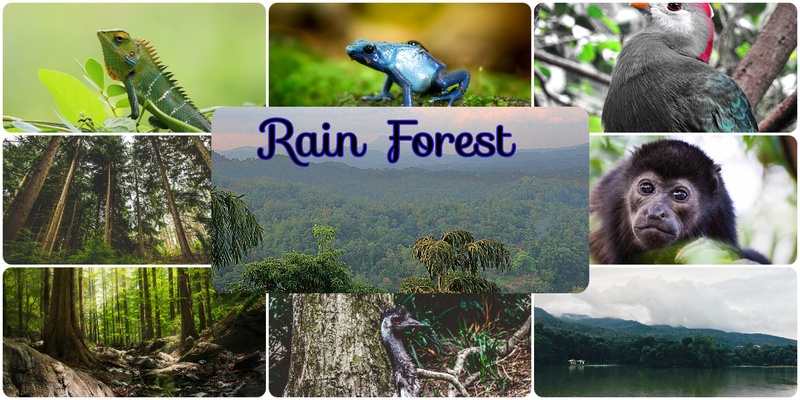 Rain forest are considered to be the lungs of our planet. This is because they are responsible for the oxygen we breathe in. They are mainly located within the equator. They help fight climate change. By absorbing the carbon dioxide, they help reduce the global warming gases. They give life to living organisms. They help to supply oxygen. They provide habitat to both flora and fauna. They provide resources such as the firewood. They are provide water from the large amounts of rainfalls. They are a source of medication. Herbal plants are mainly found in rain forests. They provide strong soil structure that prevents erosion. They offer interesting sites to visit. An interesting and educational post!